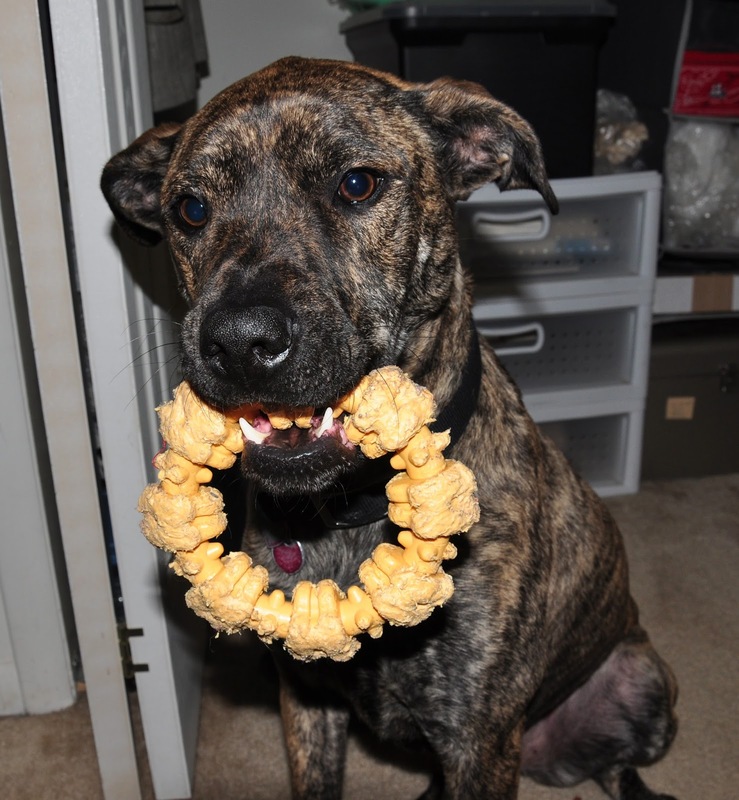 Leopold's Crate: Nylabone rings are better than any other Nylabone shape! Nylabone rings are better than any other Nylabone shape! My dogs love to chew on Nylabones. Especially Halo! 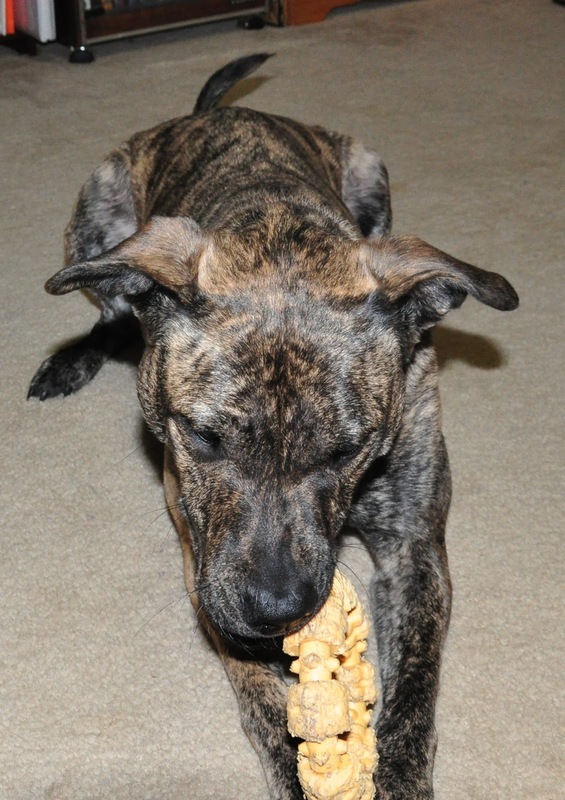 The Nylabone company offers their synthetic bone product in a range of shapes (and flavors). The original looks like a long, thin bone. Other shapes include a big "beef bone", a hallow stick, a wishbone, and dinosaurs (ha!). I've bought almost all these different-shaped Nylabones for my dogs over the years, but the story always ended the same. At some point, my dogs would chew the Nylabones down small enough that it could possibly be swallowed--once my dogs could get the whole thing in their mouth all at once, I'd throw the bone away and get a replacement. And even though the bones lasted a relatively long time, I still wished they would last longer. Halo with her favorite Nylabone! I was very pleased when I discovered that Nylabone also offers ring-shaped bones. The textured ring, in particular, seems to last for a very long time. I bought a textured Nylabone back in May. And even though Halo chews on it daily (and Leopold every now and again), the bone is nowhere near needing replacement, and I imagine it will not need replacing for a long time to come. The ring shape makes it near impossible for Halo to ever get the whole thing in her mouth, even when she's chewed it enough that its gotten thin. Don't know what a Nylabone is? Check out one of my previous posts!